Old Riverside has some character, as it was once the site of Roosevelt's Rough Rider's preparation before the Spanish American War. 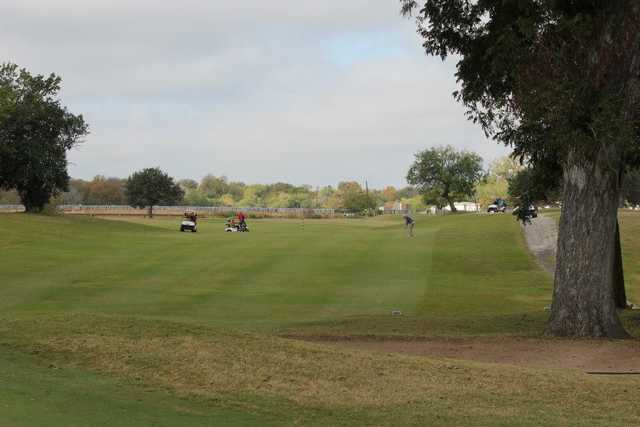 The facility dates back to the 1930s, when George Hoffman designed the course around the San Antonio River with good views of San Antonio's skyline. 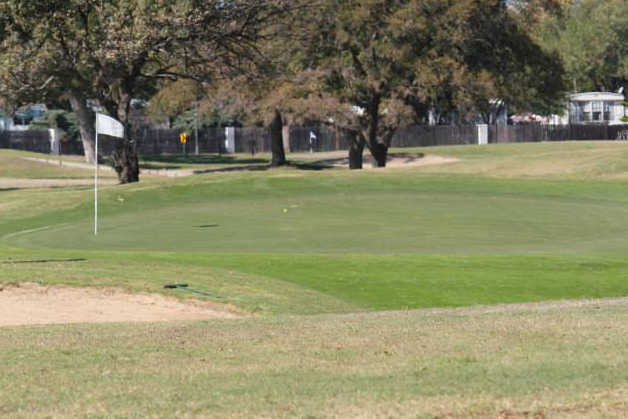 While Riverside offers the standard muni benefits to San Antonio's hacks, the added feature of a 9-hole par 3 course makes it stand out from the rest. 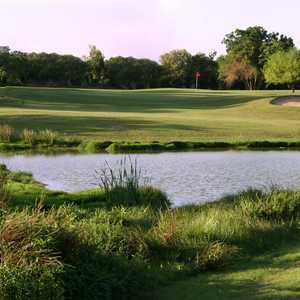 Hoffman's front nine rolls through giant pecan trees and the back nine features the river more prominently. Nos. 16 and 17 are the best holes: the first plays 600 yards, followed by a mean 230-yard par 3 that generally plays into the wind. 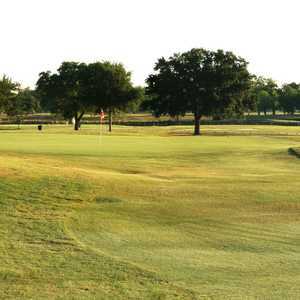 The par-3 course is straight up, with no water, minimal bunkering, and the longest hole playing 130 yards. 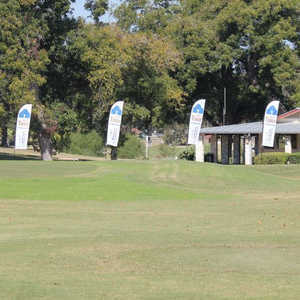 Note that walking is mandatory on the 9-hole course. Getting there : From I-37 south, take the South Cross Blvd. exit and turn west. When you come to Roosevelt Blvd., turn right and the course is on the left side of the street. Good value, worth playing. Most Fairways in decent shape with a few bare spots. greens roll pretty good. some tee boxes in rough shape. The rough isn't all that "rough" making it player friendly. What you see is what you get, no tricks or gimmic holes. friendly staff.